After months of speculation as to whether Toronto FC would sign Sebastian Giovinco to an extension and multiple transfer rumors, the club and star have officially parted ways. It was reported that Toronto FC had accepted a transfer fee in the $2M-$3M range from Saudi Arabian club Al-Hilal, who are the top team in the Saudi Football League. Giovinco will earn €10 a year for three-years, which is a salary increase of $4.4M annually. Giovinco will undoubtedly be remembered as the greatest player in Toronto FC’s history. TFC made headlines when they acquired the ‘Atomic Ant’ from Juventus in 2015 because Giovinco was 28-years old and in the prime of his career. Not too many players made the jump from the European leagues to MLS during their prime because the league had been viewed as somewhere to play once players were close to retiring. Star players such as Andrea Pirlo, Kaka, and Didier Drogba all made the move to MLS however, they made the move once their time in Europe had come to an end and MLS teams were willing to offer lucrative deals to capitalize on their star power. The Italian star made an immediate impact for Toronto FC and set records in MLS; 2015 MLS MVP, 2015 MLS Golden Boot, 4x MLS All-Star, 3x MLS Best-XI, MLS all-time leader in goals scored from free-kick, fastest player to reach 100 combined goals and assists in MLS history (95-games), Toronto FC all-time leading goal scorer (83-goals). Giovinco contributed to Toronto FC turnaround from being bottom of the table to championship status. At the time of his arrival, previous designated players Jermain Defoe and Gilberto came into the team with a lot of hype and expectation surrounding them but they didn’t pan out the way the team wanted and failed to make the playoffs. During his tenure with Toronto FC, Giovinco played a pivotal role in the team playing in back-to-back MLS Cup Finals, where they won in 2017, CONCACAF Champions League Finals appearance in 2018, three straight Canadian Championships. The ‘Atomic Ant’ leaves behind a legacy in Toronto that will surely be tough to match. It’ll be interesting to see who GM Ali Curtis will sign to replace Giovinco’s production. 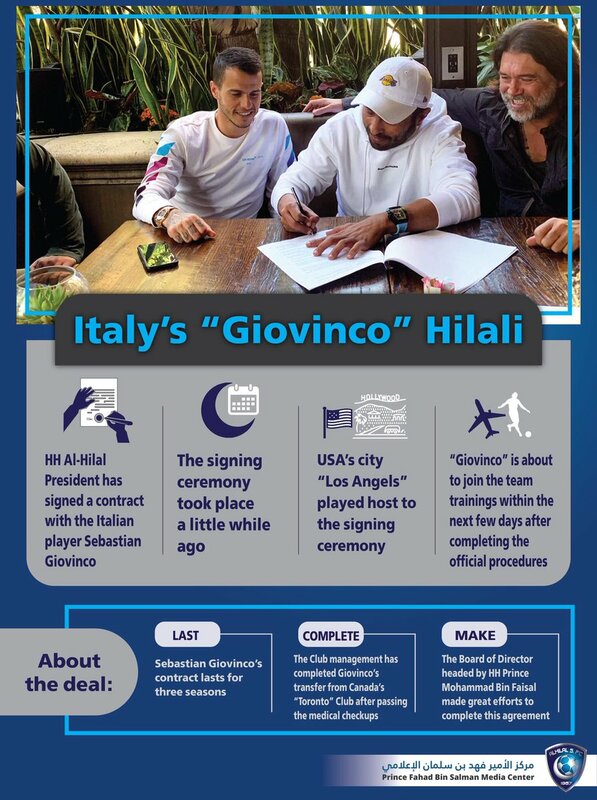 Taking Giovinco’s age into account, it’s understandable why he would chose to sign a lucrative contract with Al-Hilal because this will likely be the last opportunity he’ll earn that kind of money since he is approaching the final years of his career and will be able to make the most money possible while he can.